A bill working its way through the Republican-controlled Iowa Legislature casts public safety concerns aside, and relies on “freedom” as justification for putting children’s health at risk. On Thursday, a three-member House subcommittee approved a bill sponsored by Iowa Rep. Ken Rizer, R-Cedar Rapids. The bill inserts a “personal conviction” clause into state law regarding childhood vaccinations. If passed, no parent will be required to vaccinate children enrolled in care facilities or public schools. A news article in The Gazette noted “Republicans argued the immunization mandate violates Iowans’ religious liberties and personal freedoms.” Hogwash. Iowa Code 139A.8 addresses vaccination requirements for children enrolling in “any licensed child care center or elementary or secondary school.” It lists the various immunizations children are required to obtain before enrolling — diphtheria, whooping cough, polio, tetanus, measles, chickenpox, haemophilus influenza B (Hib disease), pneumococcal disease, and hepatitis B (HBV) — and highlights when these requirements can be waived. Specifically, a note from a physician or similar health care professional that the immunizations would be “injurious to the health and well-being” of the child or other member of the child’s family can usurp the requirement. Families may also submit an affidavit if immunizations conflict with religious belief. Religious liberty isn’t at risk. In other words, any parent or guardian will be able to usurp the immunization law at any time and for any reason, even when doing so places the health of others at risk. Rep. Steve Holt, R-Denison, leads the subcommittee. He acknowledged parents who believe vaccinations have made their children sick may not be correct, but then agreed to give such unfounded concerns validity. Rep. Holt should know I believe in freedom too. I believe my children have the right to live in a world where diseases that once maimed and killed thousands each year are rare or eradicated. I believe we all have a responsibility to protect infants who are unable to fight off deadly whooping cough, and chemotherapy patients who are already battling a formidable foe. Parents who choose to believe junk science regarding vaccinations may have the right to place their own children at risk, but that “freedom” does not extend to placing my children at risk. Just two years ago, the nation experienced a record number of measles cases. Nearly 700 people across 27 states reported cases to the Centers for Disease Control. Spread of this wholly preventable disease was largely due to presumably well-intentioned parents who held a “personal conviction” against vaccinations. 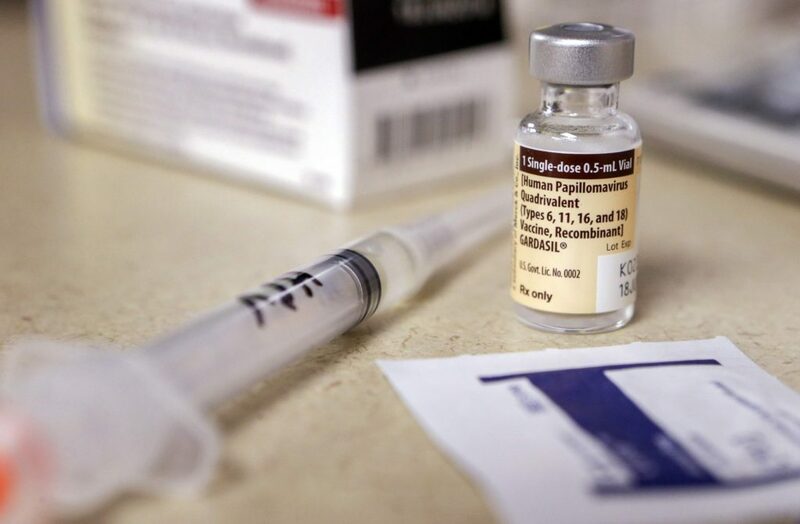 As a result, a woman in Washington state died of the disease, marking the first U.S. measles death in more than 12 years. In 1980, before widespread vaccination, measles caused an estimated 2.6 million deaths each year. About 134,000 people worldwide died from measles in 2015 — mostly children under the age of 5. And that’s just one of many now preventable diseases. Sixty years ago, polio was one of the most feared diseases in the U.S. leading to closures of public swimming pools and avoidance of close-knit public spaces like movie theaters and restaurants. Insurance companies previously offered polio insurance for newborns. In 1952, nearly 60,000 children were infected, leaving thousands paralyzed and more than 3,000 dead. I understand parents who are confused or overwhelmed by information regarding vaccinations. After all, I was one of them. None of us want to do anything that could harm our children, so we try to err on the side of caution. But the thing is, given how many deaths are prevented by vaccines, declining them is the most dangerous route of all. Choosing not to vaccinate is both a personal and public health risk. And while the law may aim to protect the ignorance of the first, it can’t morally or ethically do so to the detriment of the second.